TAG TEAM Marketing International, Inc. is owned and operated by Delxino and Deborah Wilson de Briano. These two highly successful individuals have worked together for many years and have made significant accomplishments in the business world. 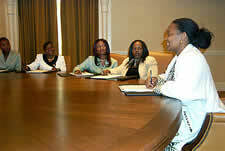 Delxino and Deborah are both deeply committed to the upliftment of Afrikan people all over the world. 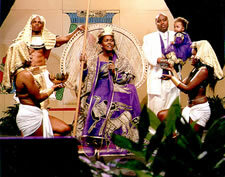 They both share a strong purpose of uniting and empowering the Black race. Welcome to TAG TEAM Marketing! It has been 24 years since we began this journey of TAG TEAM Marketing, of creating wealth, love, unity and prosperity in the Black community,... and what a journey it has been! We went from having nothing, to learning from millionaires, to becoming millionaires ourselves. We began teaching other Brothers and Sisters what we knew and encouraging them to do the same. Then, together as a team, we went from producing nothing at all, to producing hundreds of millions of dollars in sales of products and services. Now, after all of these years of learning, teaching, selling and achieving, we've finally reached the point where we have begun the ultimate journey. Instead of selling hundreds of millions of dollars of products and services for other people, TAG TEAM Marketing is now marketing the products of Black-owned businesses, through our team of Black distributors, to Black consumers all over the world. Now, Black people prosper with every single sale. We believe in what we're doing. The time has come for masses of Black people to excel economically. Through our various programs, we are putting the Black community to work, and creating mass Black productivity at the same time. In time, we aim to create thousands of Black millionaires, more than any company or industry in history, and usher in a new era of prosperity for Black people. We're on a mission! We believe in Black people. We believe in our cause. We are committed to our mission. We have the right message. We have the right training system. At this moment, you've got a chance to set out in a new direction in life. Join the Buy Black Movement and start making a difference. Become a part of the SOLUTION that will set you and your people FREE. Contribute all you can. If you want to get on the front-lines of the movement, join our TAG TEAM Marketing Opportunity. 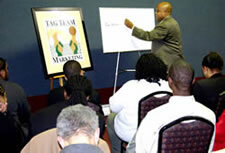 Work hard, learn the TAG TEAM System, get lots of people buying Black, earn lots of income, and make it to the TOP. Your success will inspire millions of other Brothers and Sisters to do the same, and truly make a difference in the Black community. Be a part of history in the making... get involved in the Buy Black Movement today! Together, let's change the world! Delxino and Deborah have worked together for many years, and have generated hundreds of millions of dollars in sales and revenues in their various business projects. Together, they trained hundreds of thousands of Black businesspeople and have changed many lives. Delxino is widely recognized as one of the leading experts and all-time top producers in the network marketing industry. Delxino began his career as a computer scientist. He earned a degree in Management Information Systems from New York's prestigious Rochester Institute of Technology in 1991. During his senior year in college, he worked at Eastman Kodak Corporation. After graduation, he went on to hold positions at Xerox Corporation, IBM, and Cox Enterprises before beginning his network marketing career. As a distributor in a leading telecommunications company, Delxino and his wife Deborah founded TAG TEAM Marketing as a distributor organization in 1994. 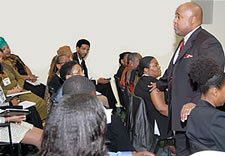 They then built the largest, predominantly Black, network marketing sales team ever built to over 230,000 distributors. Delxino earned his first million dollars at 26 years old and taught thousands of people how to achieve success. Delxino and Deborah expanded their team all over the world. Delxino held the #1 producer position for 7 years straight, producing over $100 million dollars in sales annually. 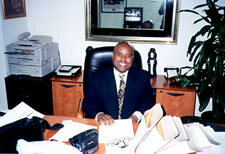 Delxino co-founded TAG TEAM Marketing International, Inc. in August, 2004 along with his wife Deborah, with the purpose of creating massive wealth and prosperity in the Black community. The company has produced tremendous results. Delxino currently holds both the position of President of the corporation, as well as Master Marketer of the network marketing sales force. 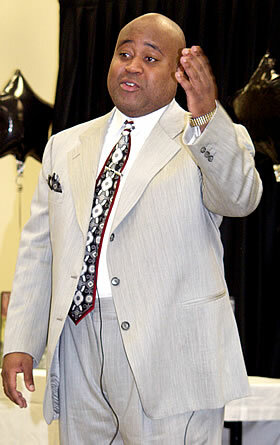 Delxino has taught many other Black people how to succeed in business. His students have successfully applied his techniques all over the world, and several have earned millions as well. Delxino has been recognized twice by U.S. Congress for his amazing work. In 2015, Delxino and Deborah launched the popular "Buy Black Movement" program which gets Black people buying from Black-owned businesses. Black business owners provide the products; Black distributors market the products; and Black consumers buy the products. The Buy Black	Movement has been well received and has produced extraordinary results. Delxino's passion is helping the Black community become economically powerful and independent. He works every day to help his people reach the stars. Deborah began her career as a computer engineer. She studied both Electrical Engineering and Computer Science at California State University at Long Beach. She held engineering positions at Rohr Aircraft, City of Inglewood California, Hughes Aircraft, Xerox Corporation, and IBM before beginning her network marketing career. In 1994, Deborah and her husband Delxino started TAG TEAM Marketing as a distributor organization in a leading telecommunications company. Together, the couple developed the TAG TEAM Marketing Black Business System that has been used by thousands of Black people to achieve success. She went on to build a national network marketing sales team. In 1997, Deborah became the #1 producer in the world, and her team became the #1 producing team worldwide. 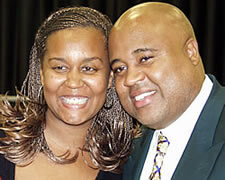 She became one of the leading Black women in the network marketing industry. 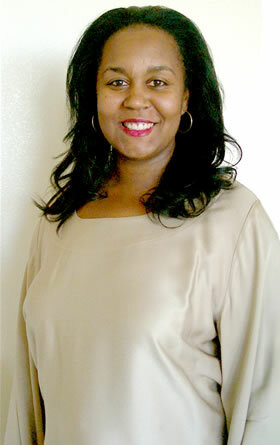 In 1999, Deborah founded the POWER Circle (Positive Outstanding Women Elevating to Riches) organization for Black women. Her organization helped many women achieve success in business. She trained thousands of Black women on how to succeed in business and in life. 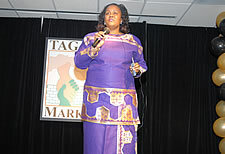 Deborah co-founded TAG TEAM Marketing International in August, 2004 along with her husband Delxino, with the purpose of creating massive wealth and prosperity in the Black community. The company has produced tremendous results. Deborah currently holds both the position of Vice-President of the corporation, as well as Master Marketer of the network marketing sales force. In 2015, Deborah and Delxino launched the popular "Buy Black Movement" program which gets Black people buying from Black-owned businesses. Black business owners provide the products; Black distributors market the products; and Black consumers buy the products. The	Buy	Black	Movement	has	been well received and has produced extraordinary	results. 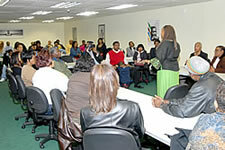 Deborah's passion is helping the Black community to achieve prosperity and independence. She works every day to make her vision a reality. Delxino and Deborah work every day to create a new, prosperous future for the Black race. Through TAG TEAM Marketing, they are working to get millions of Black people working together and producing at a stellar level, in order to create massive wealth and prosperity for our race.